Dom Cobb is a professional thief with a difference: the spoils he goes after are not material objects but the thoughts, dreams and secrets buried in the minds of other people. This rare talent has cost him dear, rendering him a solitary fugitive stripped of everything he ever really cared about. When he is offered a chance for redemption by reversing the process and planting an idea rather than stealing it, he and his team of specialists find themselves pitted against a dangerous enemy that appears to pre-empt their every move. We watched this amazing movie again last night after getting our TV ISF calibrated and I can honestly say this disc looks perfect. The black levels look so so good, a real film look. Warner bros. have done great things with all of Christopher Nolan's movie, and this one is no acception. 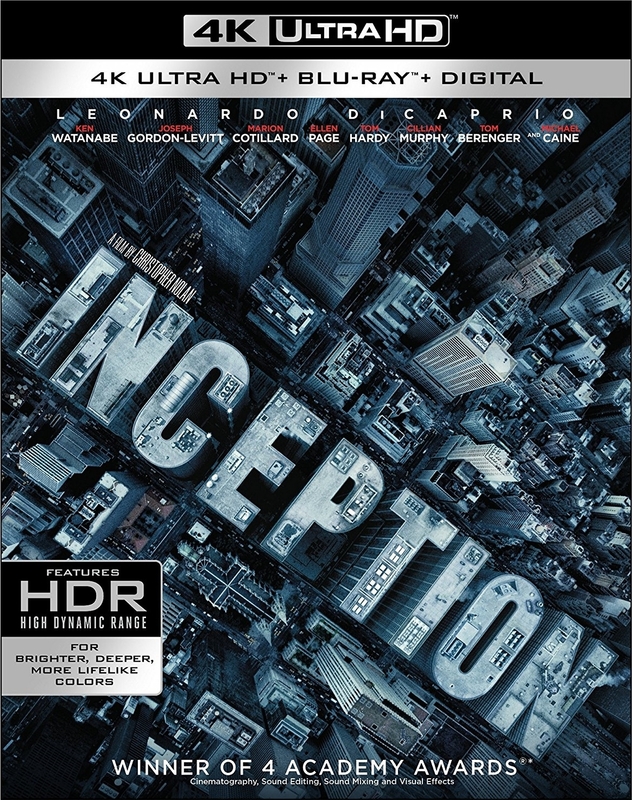 One of the best sci-fi movies ever made and looks incredible in 4k.